So, I had a little bit of unexpected counseling last night from an unlikely source. I arrived at my guitar lesson ready to rattle off the myriad of reasons why I wasn't able to practice my guitar much over the past week. And as I was pulling out my guitar and sweating bullets that I was going to be in trouble for not cutting my fingernails this week, my guitar teacher did something strange. He asked me how things were going. I literally opened my mouth, with nothing coming out, and blinked my eyes. I wasn't sure what he was really asking. I could take this answer in so many directions. And he could see that, so he politely narrowed it down to guitar. "How do you feel like guitar is going?" he asked. Still, I wasn't sure how to answer. I've been taking for a couple of months and he has been teaching me so much, but I'm not at a place where I want to be or even making much progress to where I want to be. I told him there is just so.much.going.on. and explained various things in our life. I told him I haven't been disciplined with practicing and quite honestly, I haven't been disciplined with much at all lately. I've been struggling with not practicing my guitar as much as I want to, because I really want to, but also because I don't want to let him down as a teacher, or my sweet hubby down (because he gave me lessons as a Christmas gift) or my future-self down, because it's something I desire to have accomplished before our children are grown and out of the house! And so I've been bummed that I haven't made myself sit down and practice. But, the truth is, there hasn't been time, or if there has been, something else has taken priority, even if I haven't wanted it to. The same thing goes with exercise and organizing our house and cleaning out our carport closet and I don't know, but you name it and it's been tough. And then the counseling began. My intuitive guitar teacher, proceeded to speak to my inner-self in a way I'm accustomed to my Bible Study girls, or other friends or my husband or family speaking to me. He told me, it's not that I'm not being disciplined, it's that I'm just not able, at this point in my life. And while that stings, it's comforting to hear at the same time. In fact, it was encouraging! It's only for a season. 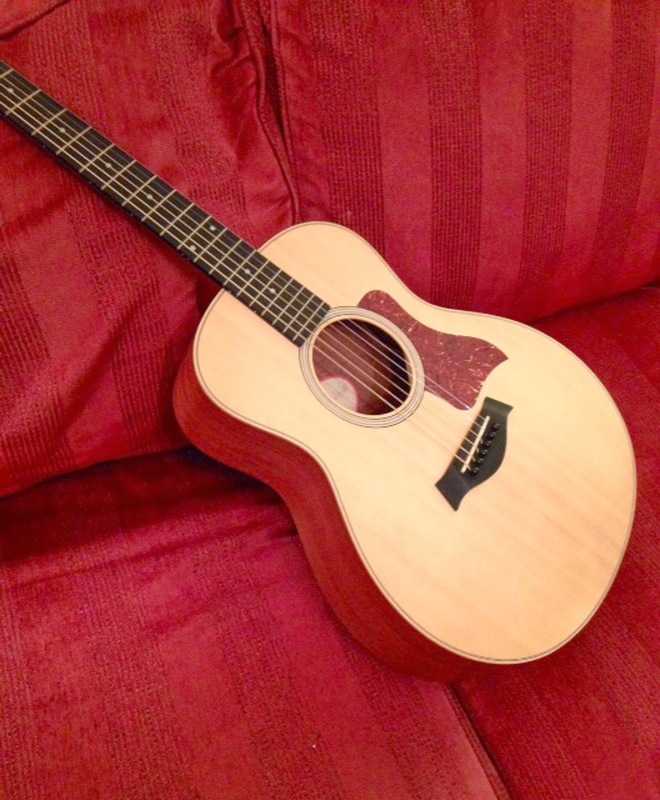 Why am I sharing about my guitar lesson/counseling session? Because, I needed that encouragement and maybe you do too! As my guitar teacher pointed out, we all have our "things" in life. My "things" are not yours, and your "things" are not mine, but we all have them. Maybe you just aren't able to do one more thing. Maybe your calendar is full. Maybe your wallet is empty. Maybe you have lots of littles that require your presence and don't have extra help. Maybe you just had a baby. Maybe you are just so tired that you can barely keep your eyes open. Whatever your situation is, check in. Process a little and find out what is keeping you from saying yes, or taking that next step. Know yourself and figure out what you are able to do and unable to do. Once you acknowledge and accept your "thing" you may find yourself quite relieved! But also, be patient and give yourself grace. This is just for a season!